As we’ve done every year we’re offering again a Black Friday Sale. We’re probably not going quite as crazy as everybody, but we’re keen on trying to do something a bit different. Usually when these blog posts come out, you get emails from everybody wanting to be featured (I haven’t actually done a blog post like this before, and I still received 3-4 emails in the run up to the big day, I’ve heard of people having up to twenty emails), so instead I’m focusing on giving exposure to things that I’ve featured on this site before, friends as well as products I actually use. So you can be 100% sure you’re not wasting good money on bad products, but instead everything below I use, reviewed or made. 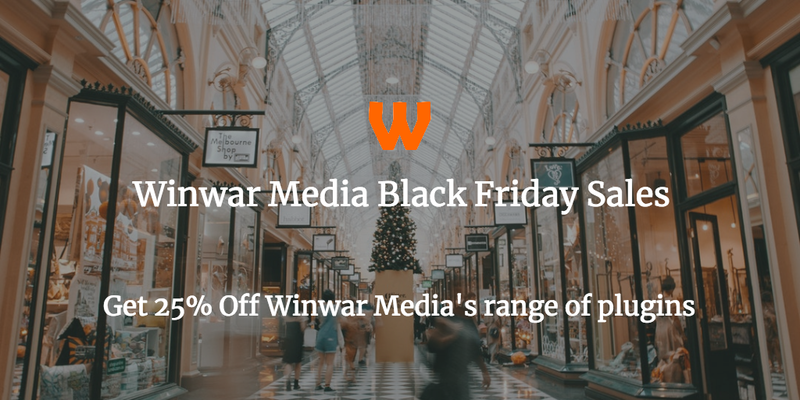 Now onto the WordPress Black Friday 2017 Product Discounts from Winwar Media & Friends! WP Taxi Me Premium is the Premium update to WP Taxi Me, my plugin that allows you to integrate popular taxi ordering app Uber. The Premium Version allows you to display estimated costs & time, integration with Lyft as well as allowing multiple buttons to different locations. WP Taxi Me Premium is normally £15, but you can get 25% off for the first year licence by using discount code BF2017 at checkout or by clicking on the button below. 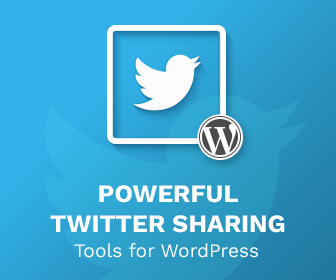 Inline Tweet Share Premium is the Premium extension of Inline Tweet Sharer. Inline Tweet Sharer is a plugin that allows you to create quotable tweets that can easily be shared on Twitter. The Premium version allows you to track links in Google Analytics, as well as allow those who quote your links to subscribe to you straight after. Inline Tweet Sharer Premium is normally £15, but you can get 25% off for the first year licence by using discount code BF2017 at checkout or by clicking on the button below. I spoke to a few plugin authors that I’ve featured with my WordPress Plugin Reviews, here are some of the offers they have offered you our readers. I loved FV Player Pro when I reviewed it on my blog this year, so I approached this plugin to see if they are running a Black Friday sale. They are! If you are serious about running a video blog you can get the best Video Management Plugin for WordPress with a third off. Simply click on the link and you don’t need a discount code. ProfilePress was an interesting WordPress user registration, login, profile & management plugin that got a good review on this blog, and approaching them I was offered a 25% discount. Get 25% off ProfilePress from Black Friday through Cyber Monday. Use the coupon BFCM2017 at checkout. I reviewed Extended Widget Options way back last year, but it is still going strong! You can get 30% off the plugin using the discount code BLACKNCYBER30 at checkout, which lasts from Black Friday to Cyber Monday. Click here to check it out. Here are some other services that I use that have a Black Friday sale, so be sure to check them out!